Audio CdA collection of 30 traditional action-songs and chants. - A beautifully illustrated collection of traditional action songs which are particularly suitable for very young learners of English.- A collection of 30 traditional action-songs and chants which are easy to learn and fun to do.- Accompanying CD with lively recordings of all the songs, featuring children's voices and 'karaoke' versions of selected chants.- Ideal for very young learners.- Clearly laid out, with one song on every page.- Beautiful, full-colour illustrations, including easy-to-follow demonstrations of the actions. Pippi Longstocking is back and as crazy and as funny as ever! But for Tommy and Annika, the fun might stop all too soon if Pippi agrees to go back to sea with her father. Everything's fun with Pippi around!Pippi Longstocking is one of the best loved characters of all time, with dedicated fans all over the world. She's funny, feisty, and has the most amazing adventures! A színes művészi illusztrációkkal gazdagított könyv, közel száz klasszikus angol mondókát tartalmaz. * Find out what happens to the unfortunate Humpty Dumpty, ride with a fine lady to Banbury Cross, watch a cow jump over the moon, listen to Old King Cole's fiddlers, and march with the Duke of Yorkinthis wonderful collection of nursery rhymes. * Brian Wildsmith has chosen over eighty best-loved rhymes that are full of charm and rhythm, and has illustrated them with great exuberance and imagination. * Nursery rhymes are delight to share from one generation to the next and this beautiful book is sure to be enjoyed by young and old alike. Pocket is a little rabbit who wishes-from his whiskers to his bunny feet-that he might know the meaning of Christmas. When he hops out of his burrow on Christmas morning, Pocket finds some footprints left by children who have been playing in the snow. Hefollows the footprints to a cosy cottage where his Christmas wish comes true. Christmas is only days away when Milly meets a unicorn. He patters softly into Grandpa's house on a snowy night and suddenly Milly's world is filled with magic, friendship, and the happiness she has been hoping for. Nem egy szokványos szótárt tart a kezében a kis olvasó, hanem egy képekkel illusztrált, szórakoztató könyvet, amivel még a tanulás is könnyebben megy. Az oldalakon példamondatok is segítenek a gyermekeknek a szavak és kifejezések megértésében és helyeshasználatában.Öt éves kortól ajánlott. KEMÉNYTÁBLÁS KÉPESKÖNYVOur exciting new Wilbur toddler and baby board book series is based on the bestselling picture books by Valerie Thomas and Korky Paul. 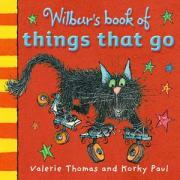 Wilbur the cat is cuddly, friendly, and ready to introduce babies and toddlers everywhere to early-learning conceptswith a dash of his very own feline mischief. Winnie's flying carpet was just what she had always wanted but then it flies off with her precious Wilbur and heads straight to a funfair... with Winnie in hot pursuit! This edition comes with an audio CD where the story is narrated over an imaginativesoundtrack of music and effects. When Winnie the Witch makes a cardboard robot she is very proud of her creation and decides to turn it into a real robot. BIG mistake! Winnie and Wilbur soon discover that the Big Bad Robot is trouble, especially when it gets hold of Winnie's magic wand.Join Winnie and Wilbur on a robotic rollercoaster of a story! With an accompanying CD. Pippi Longstocking is one of the best loved characters of all time, with dedicated fans all over the world. She's funny, feisty, and has the most amazing adventures - in this story Pippi, Tommy and Annika go on their greatest adventure yet - to CannyCanny Island, where Pippi's father is king. Ez egy tündéri karácsonyi könyv!It's Christmas Eve and Winnie and Wilbur are super excited. They've posted their letters to the North Pole and made everything festive. But then disaster strikes. Santa gets stuck in their chimney! Hedesperately needs help with his deliveries otherwiseChristmas just won't happen. 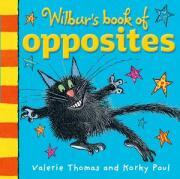 It's a fun and festive Winnie and Wilbur adventure!